Wonder Woman and Supergirl would probably evenly matched in Strength. 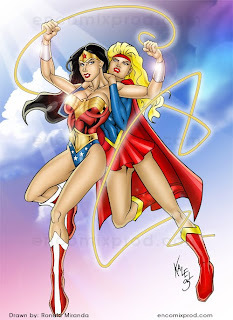 However Wonder Woman's battle skills would decide the outcome. Supergirl would loose. Here is a possible scenario in MUGEN.